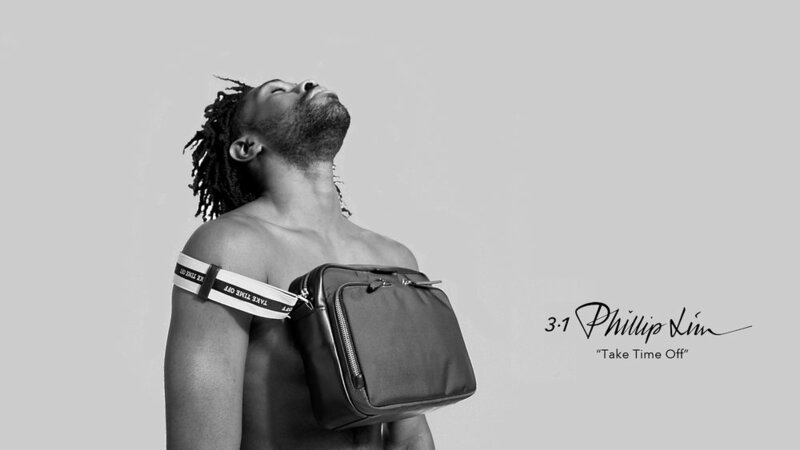 3.1 Phillip Lim x Dario — dario. The phrase “Take Time Off”, for me, means freedom. Given the current political and social environment we find ourselves in, it’s a phrase that resonates with me on multiple levels. All at once, it’s a command that places power and agency in the hands of the individual, and in so doing, creates space for a life full of potentialities. It’s a call to rest. A call to be curious. A call to explore. Traveling, for me, has become as necessary as bread, and it’s with this spirit that I created the videos and wrote the accompanying music. With dance being a universal language; a thread woven throughout all cultures, it was a natural place to go when thinking about “Take Time Off”. Musically, I wanted to fuse Phillip’s Chinese-American heritage with my own Black American culture, and sieve it through our shared love of travel and the exotic. There are vocals from the Peking Opera interspersed with blues harmonica riffs. African talking drums overlaid with Chinese Erhu strings. It’s a sonic testimony to the richness one can experience when self-care is prioritized.